Take a pause and look at your life; you’ll realize that the vast majority seems to be “on the way to somewhere”: every day you wake up and go to the office, you give your kids a lift to school, walk to the nearby grocery store and rush to your afternoon one-hour running. It’s always another climb, another great distance to cross and as Ralph Waldo Emerson wisely spoke: “Life is a journey, not a destination”. This famous quote lies behind Journeys shoes and apparel philosophy always investing in durable, branded shoes and apparel that promise to fill your journeys with memories of love, joy, laughter and emotions all entertained. It’s a great feeling to know that someone has your back covered and busy moms really know what I mean. Leave all worries behind: all you have to do is find a destination and Journeys will take you there! Make plans for the whole family and spend valuable time together as Journeys defy money and distance. Start off from the little ones of the house and get them skate shoes and boots they’ll brag about to friends and wear all day long! Our favorite pick for your little boy is the DC Rebound Skate Shoe in gray that will take him from school to skating with friends. This Mid-top skate shoe’s orange and blue details add to a trendy and playful mood, while the Rebound Hi features a mixed upper with a perforated toe panel, padded collar and DGT durable rubber sole. Pair it with loose pants for extra style and your little man is ready for new adventures! 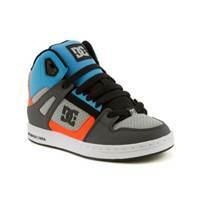 Don’t forget to use Couponology’s Up To 40% Off Boys’ Sale Shoes Coupon to get these gems at a discount! 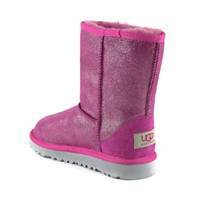 On the other hand, your little girl needs to be cozy and comfortable in style as a true princess. And as you want to avoid moaning during your journey, the UGG® Classic Glitter Boot in fuchsia will definitely do the trick: she simply won’t wear them off! The shimmery touch of glitter will make her feel the belle of the ball while the sheepskin upper and soft fleece lining will keep her feet super warm and cozy. You can always use Up To 40% Off Girls’ Sale Shoes Coupon to save big on these babies! Also, pair them with skinny blue jeans and she’ll be the first to be thrilled about your new getaway. Next on the list is guess what- you! 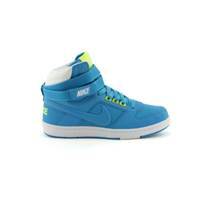 Journeys need to make sure mom gets all the comfort in this world that’s why they chose Women’s Nike Delta Lite Athletic Shoe in blue/volt as the right accessory for that reason! We can’t stop you run behind everyone in anxiety, but we can assure that you run fast and safe on the Delta Lite with its durable synthetic upper, safe lace up closure with hook and loop strap, and a rubber sole with pivot point. Nike’s unique design and its nearly fluorescent green details on the logo, strap and laces will add points to an extra stylish sporty appearance. Make these shoes yours by using Up To 50% Off Women’s Sale Coupon and cover all your everyday needs for years to come! 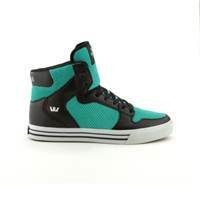 Last on the list is your beloved husband who will probably feel some decades younger with Men’s Supra Vaider High Skate Shoe in black, blue and white colorings! Its vulcanized outsole and sliding tongue logo will certainly remind him of his youth style while SupraFoam® midsole will ensure entire foot impact resistance and optimal shoe flex allowing him to spend more hours of playing with your children. Extra ankle support and leather liner are only some of its powerful details with price playing the leading part when using Up To 50% Off Men’s Sale Shoes Coupon! Finally, remember your “Journeys” don’t end here; they are boundless and always filled with joy when using Couponology.com’s coupons and promo codes to save you money on any journey you choose to follow!